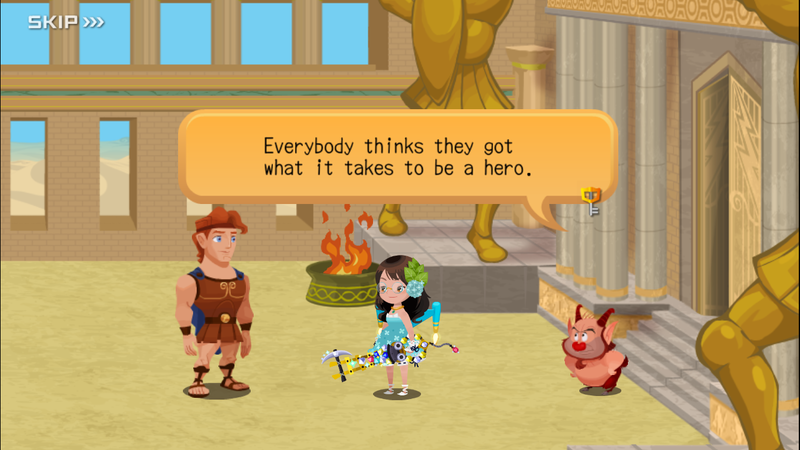 Ah, the land of Greek gods and goddesses, and the mighty Hercules, the Olympus Coliseum has some of the most heroic and valiant music in all of Kingdom Hearts. But what about “Olympus Coliseum” gives an impression of heroism and grandeur? In other words, what makes this piece of music sound very open, and stylistically rigid, like our hero Hercules? Today we are going to be talking about perfect intervals and step-wise motion, two very important key features for melody-writing, following the strict rules of counterpoint. Use of trumpets and other brass, instruments usually associated with royalty or bravery, especially when playing quick, repeated notes (think “ba, ba-ba-BA!” when the King, Queen, or another member of the royal family arrives). Very limited percussion: other than a few cymbal crashes, gentle timpani rolls, and a couple tubular bell strikes, this track has almost no percussion. There is a steady beat, but it is kept by lower, slow-moving strings and brass rather than any sort of percussion. Percussion is arguably associated with the earth, and being grounded, so taking it out gives the music a feeling of openness and weightlessness. Overall a slow, steady tempo, at 100 BPM (beats per minute): there is absolutely no sense of urgency. Now let’s talk about perfect intervals and step-wise motion. Here is part of the main melody line, heard first at 00:10 – 00:14. The intervals of a major scale include perfect unison (playing one note to the same note), major second (also called a step), major third, a perfect fourth, perfect fifth, major sixth, major seventh, and perfect octave. When counting intervals, we count the note we start on as one. For example, the first part of this piece is in the key of Bb major. Bb to Bb would be a perfect unison, Bb to Eb would be a perfect fourth (four notes: Bb – C – D – Eb), and Bb down to A is a step. One of the rules of melody-writing in counterpoint is to use a lot of perfect intervals (perfect unison, perfect fourth, perfect fifth, and perfect octave), and steps/step-wise motion (major or minor seconds / notes right next to each other). Arguably the music will sound very consonant (agreeable, pleasing) if these intervals are used. And if we look at the first part of the main melody, we notice that the entire thing is made up of perfect unisons (PU), perfect fourths (P4) and steps (step-wise motion). The piece does end up modulating (changing keys), but even after that, the melody and accompaniment parts all pretty much use perfect intervals and step-wise motion throughout the entire piece. This gives the piece an overall feeling of openness and solidity, which are also qualities of respected royalty and high-ranking heroes.